Situated on the edge of this historic Market Town the site is ideally positioned on the corner of the main B4388 (Montgomery to Welshpool) and New Road which provides direct access to Shrewsbury via the B4386. Montgomery is a popular Market Town located on the Welsh boarder boasting a thriving community offering a host of activities close to Offa’s Dyke path. Montgomery Town Centre lies approximately 25 miles south of Shrewsbury, 10 miles north east of Newtown and 8 miles south of Welshpool. The site is level and regular in shape extending in total to approx. 3.86 acres (1.56 ha) or thereabouts. The site is adjacent to a number of detached residential properties and a short distance to the Town Centre and public amenities. Full planning consent was granted on the 23rd September 2016 for the erection of a two and three storey residential care home and nursing facility with ample on site car parking. The proposed main building is understood to provide up to 68 en-suite bedrooms with associated communal living and staff areas together with landscape grounds and extensive on-site car parking facilities. In addition the planning permission provides for the erection of two individual blocks of one and two bedroom assisted living apartments. This accommodation could also potentially be used for staff accommodation in conjunction with the care home if required (Subject to Planning). Plans and associated documents are available from the Selling Agents upon request. 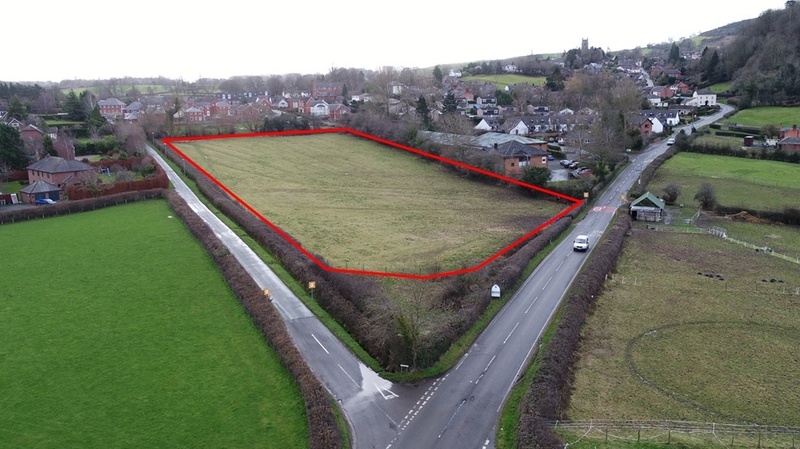 Potential purchasers should note that there is adjoining parcel of land extending to 0.75 acres which is available For Sale with the benefit of planning permission for the development of 10 new dwellings. Further details are available from the Selling Agents upon request.